← How Does a Water Softener Work? When water falls from the clouds and sky, it is naturally “soft” water, meaning it is free of mineral salts and ions; such as calcium, magnesium, iron, and more. Once rain water reaches the ground, it begins to soak into the soil, and continues to pass through the many layers of sand, bedrock, and clay below. Water collects and accumulates these mineral salts as they pass through each layer. Depending on the area in which you live, the level of hardness in water will vary. Water hardness is measured in grains per gallon, ranging in degrees on a scale from one to ten. Although hard water is not bad for us, it can have undesirable effects on our homes, bodies, and taste buds. Hard water causes dry dingy skin, nails, and hair, faded laundry, lime scale buildup on plumbing and fixtures, reduced water heater performance, reduced soap lather capability, increased utility bills, and spots on our dishes. But as for our taste buds, hard water makes everything taste funny. This is because hard water tastes funny as well. Continue reading to learn what hard water generally tastes like, and who to call to get rid of your hard water problems right away. As mentioned, hard water contains high traces of mineral salts like calcium, iron, and magnesium. It can make our coffee, tea, soup, and pasta taste strange. This is because we are tasting the mineral ions in the water. These mineral deposits are metallic in nature, so it is only natural that they have a metal-like taste. This is what you can expect hard water to taste like. Imagine licking an iron rod. This would be much like the taste of hard water. The harder water is, the more metallic it will taste. This causes our food and beverages to taste funny as well. To get rid of hard water, a homeowner will need to first purchase a water conditioning system, or water softener; and then they will need to contact a local Indianapolis water softener service for proper installation, set-up, and professional guidance. A water softener uses reverse osmosis, or ion-exchange technology, to remove mineral salts from water and replace them with conditioned ions. Call 317-537-9707 for professional water softener installation and service in Indianapolis, Indiana. 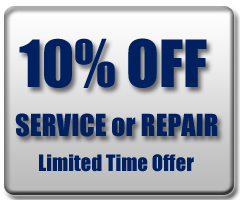 We are highly trained and qualified water softener repair contractors with decades of experience in the industry. We service, install, replace, and repair all make and model water conditioners, for both residential and commercial properties. Our company also offers free estimates, DIY advice, and water softener repair coupons! Call 317-537-9707 for details about our affordable water softener services in Indianapolis, IN today. This entry was posted in Hard Water and tagged Hard Water Levels, Hard Water Removal, Hard Water Taste, Indianapolis hard water removal, treating hard water, Water Softener Installation, water softener repair coupons, Water Softener Repair Indianapolis, Water Softener Service Indianapolis, water softener services Indianapolis. Bookmark the permalink.